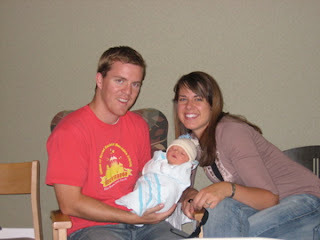 Stoner Family: Welcome Parker to the world! 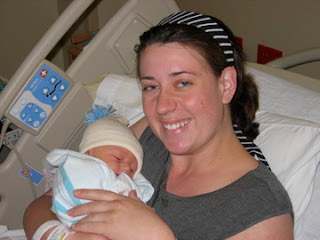 My sister Melissa and her husband Anthony have just had their first baby! 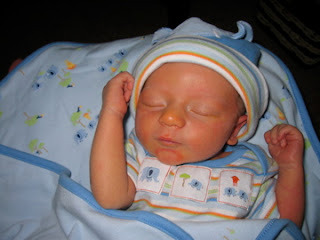 His name is Parker and he was born on July 27, 2007. Pretty cool birthday hu? 7-27-07 I don't remember his measurments, but he was just right! He looks just like his dad, but has his mom's cute nose! 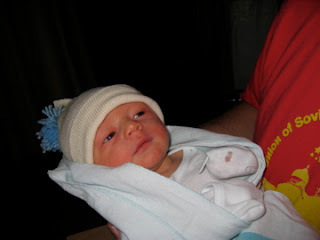 We are so glad he's here and love our new little nephew Parker So much! Congrats Lissa and Anthony!